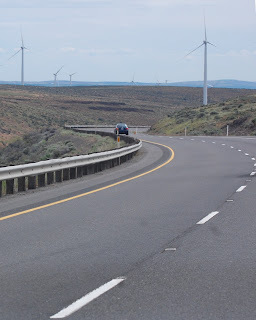 The eastbound lanes of Interstate 90 snake down the shrub-steppe of the Yakima Firing Range between Kittitas and Vantage, on the west side of the Columbia Gorge. Puget Sound Energy planted this hillside of wind turbines, and they're well sited, as it is eternally windy up here. 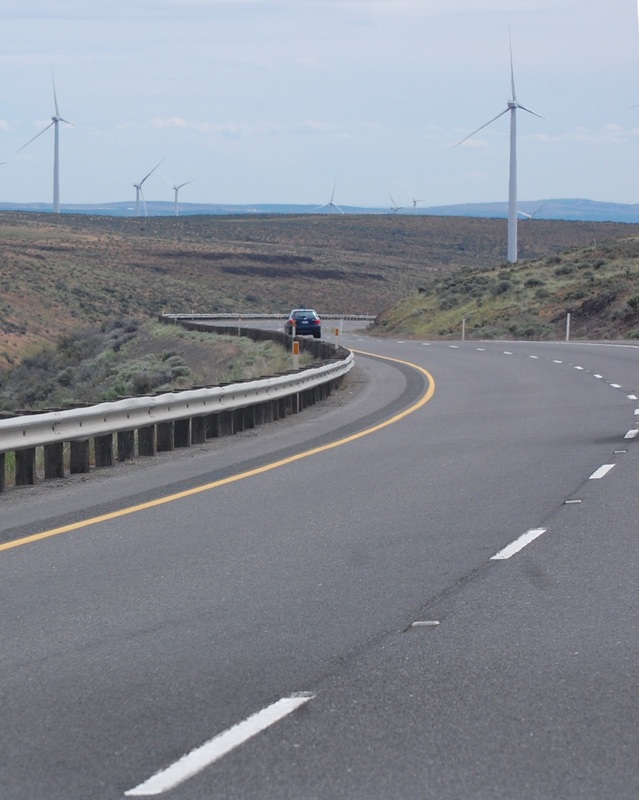 Google's view shows that the turbines have been here since at least 2011.